ISRAEL - JUST THE FACTS: Here's How Clocks And Pressure Cookers Became Bombs For "Peace"
Here's How Clocks And Pressure Cookers Became Bombs For "Peace"
The six statements below sound more like election slogans than they are descriptions of reality. They can be heard repeatedly in the press, the media or whenever someone engages a liberal leftist in a political debate. 1. "There must be a peaceful solution." 2. "Not all Muslims are terrorists." 3. "Israel must make difficult decisions for the sake of peace." 4. "It was a clock" It was a pressure cooker"
5. "It's about gun control!" 6. "We are not sure it was a terrorist attack and even if it was, we do not know what motivated the terrorist, that happens to belong to a certain faith that we will not mention in order not to offend them, to carry it out." Look again at the statements above. Did you realize the responsibility and blame is on the victims while the other statements are designed not to offend the terrorists or the ideology the terrorists use to justify their actions? In a world that is not at war over basic cultural freedoms and rights, I would fully agree with the statements above, but in our world, there are two clear and opposing opinions. While one side is fighting for equality and human rights, the other is worshiping and fighting for death while stripping the general public of their rights and freedoms in the name of their religious beliefs that is called Islam. Does that mean every Muslim is a terrorist? It means Muslim terrorists are justifying their actions with a fascist, genocidal religious based belief system that just happens to be Islam (according to their own definition). Did they pervert what Islam really says? Perhaps, but that is totally irrelevant to me or to the victims of their religious fanaticism. The fact of the matter is, Muslim terrorists consider themselves key masters of the Islamic religion and they maim, murder and destroy in the name of Islam. Just to drive the point home, there are tens of Islamic regimes in the world, can anyone point to a single one that offers equal rights or freedom for their own people, never mind for others and minorities! Every sane person wants peace. War is not something we look forward to or want, war is something that is forced upon us. If you have hate towards another because of their religion, congratulations, You are a bigot! If you ignore the fact that there is a religious based terrorist ideology that acts in the name of Islam, congratulations, you are a moron! Be A Part Of The Shield Today! There is danger today around the world that did not exist 30 years ago. Islamic terrorism is affecting the entire world and to ignore the problem is not only dangerous, it is immoral and cruel. To stand up and defend the rights and freedoms of radical Islamic groups and ideologies as they preach your destruction is parallel to one reading a murderer his rights and he is twisting the knife into his victims. A Clock Built For Peace? When a kid named Ahmed Mohamed, who just happens to belong the Muslim faith, built a clock that clearly looked like a bomb, the world condemned his teacher who came to the most logical conclusion and reported the device! Was the teacher wrong for suspecting that Ahmed Mohamed built a contraption that clearly resembled a bomb? Let's say for a second that young Ahmed was not aware the of the sensitivities of his bomb like clock and let's just say, for arguments sake, that the majority of international terrorism was not carried out by people who do so in the name of the same Mohamed that this young Einstein was named after. Let's say this young boy was simply wronged and was utterly embarrassed by these baseless charges. Ahmed was invited by the President of the United States of America to the White House as well as received employment opportunities from Twitter and Facebook and over 1,000,000 tweets with the hashtag #IStandWithAhmed along with endless messages of support from movie stars, icons, sports legends and even from the UN. If you thought that an invitation from the President of the United States would have been enough for young Ahmed to put this behind him, you thought wrong! 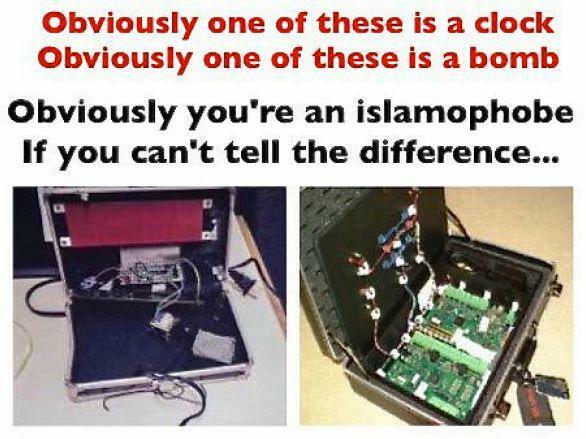 See, Ahmed and his family were so offended by the school's "baseless" allegations that his clock looked anything like a bomb or that they have anything to do with Islamic terrorism, that they decided to leave America. Where did the Mohamed family move to in response to being offended? They emigrated to a Muslim country that has been called "the Club Med for Muslim terrorists". That's right, the moderate well meaning Mohamed family moved to Qatar, which just happens to be the number one funder for.....wait for it....ISLAMIC TERRORISM! So they emperor is still naked and the bomb is really a clock and a man who screams Allah Akhbar and shoots up people in a bar is about gun control while a pressure cooker with wires in a dumpster is not a bomb and don't you dare label it terrorism till three days later and for God's sake! Don't ever claim there is a radical Islamic terror problem. There is absolutely nothing in common you should have with those terrorists who claim to be representing Islam. Your religious, political, social and emotional opinions should be the diametrical opposite of those who use Islam to murder. You should clearly understand racial profiling and no, you should not be offended. I am sure it is uncomfortable to be labelled at the airport just because you are of the same religion as the terrorists but the truth is, you are in just as much risk as the rest of us are and please swallow your pride so that we won't have to end up at a funeral together. You probably should not bring a suitcase with wires and a digital clock connected to it to school and please do not be offended or act surprised when people are scared of your "clock". It is unfortunate that international terrorism is being carried out mostly by radical Islamic terrorists, but that is the reality of things. So please, bare with us and work together with us as we try to catch the terrorists before they murder us both. Please do not stand up for, or scream about security forces offending Muslims as they try to catch the threat before it blow up and please forgive us ahead of time for any mistakes that we make in trying to keep us safe. (Both of ours). The terrorist in Minnesota asked his potential victims if they were Muslim in order to spare Muslims, so please understand where our suspicion comes from. Help us by making it clear that not only are you not one of those terrorists, join us in fighting them, because you just might be the biggest victim in this war. From what I heard, you are currently a student in the Qatar Academy and I hope you are doing well. If you really are a peaceful Muslim who was simply wronged and decided to move to Qatar to further your education, I have one piece of advice for you. Bringing in a clock that looked like a bomb caused you some emotional suffering in the USA? Be careful not to bring in a rag to school that has the colors red white and blue on it. The Qatarian people might suspect it as an American Flag and I don't think they will be as loving and apologetic as the people of the United States of America were to you. Good luck! 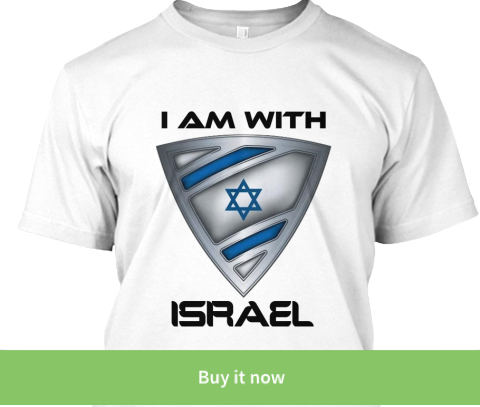 We are working hard to discover, expose and destroy anti Israel propaganda spread throughout the world. 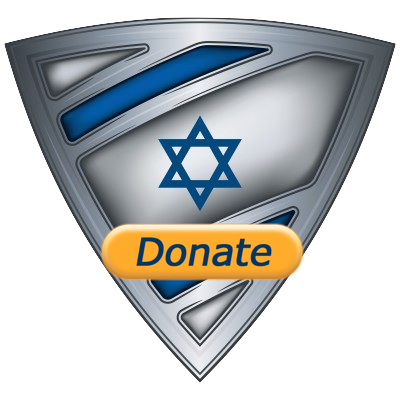 Please consider making a donation so that we can continue protecting Israel.